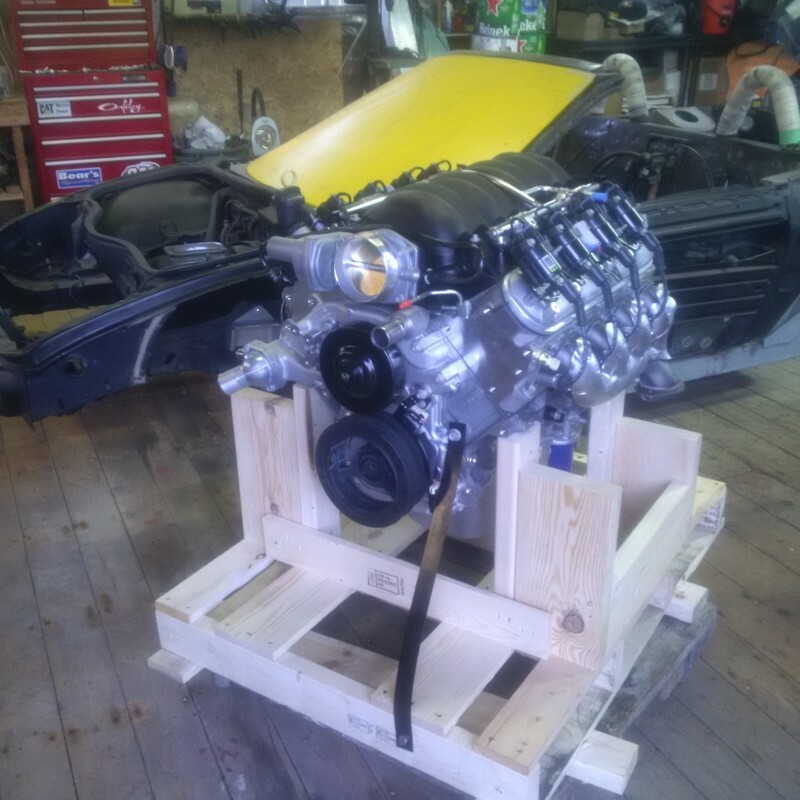 My original plan was to install an LS1 crate engine with 410 hp. 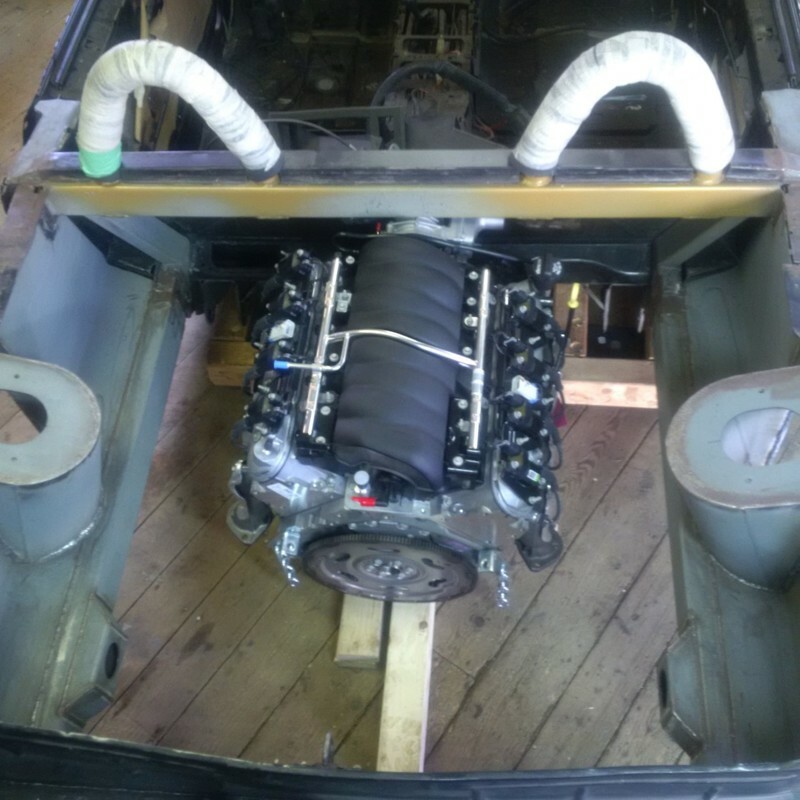 It seemed like the perfect engine with the characteristics I desired for my project car. 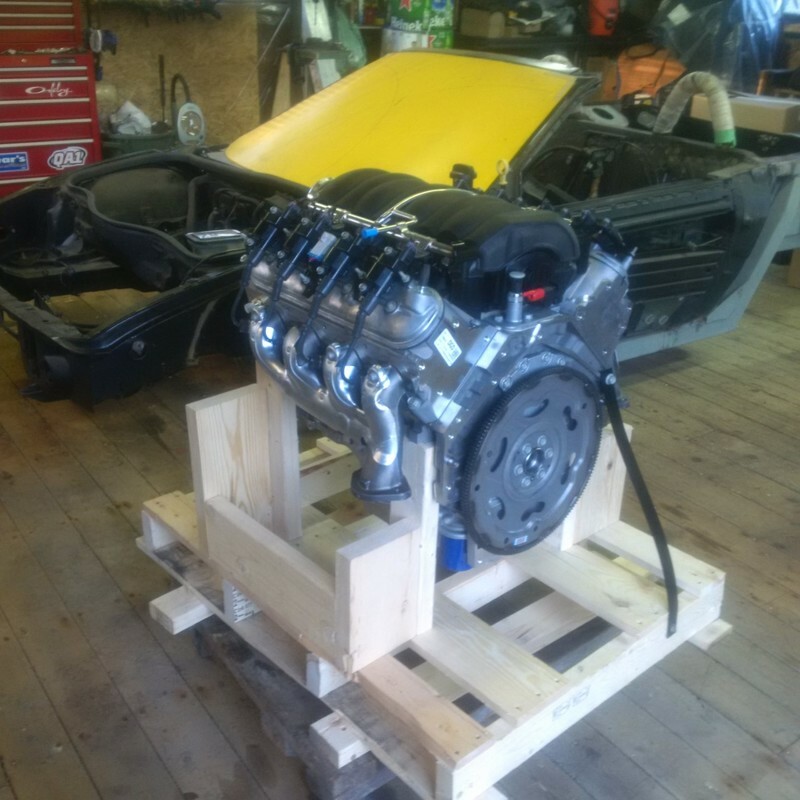 The LS1 has been discontinued by GM for a few years now so the only option for owning one is to find a builder who has a new block on the shelf as a starting point or buy a used engine and have it refurbished. 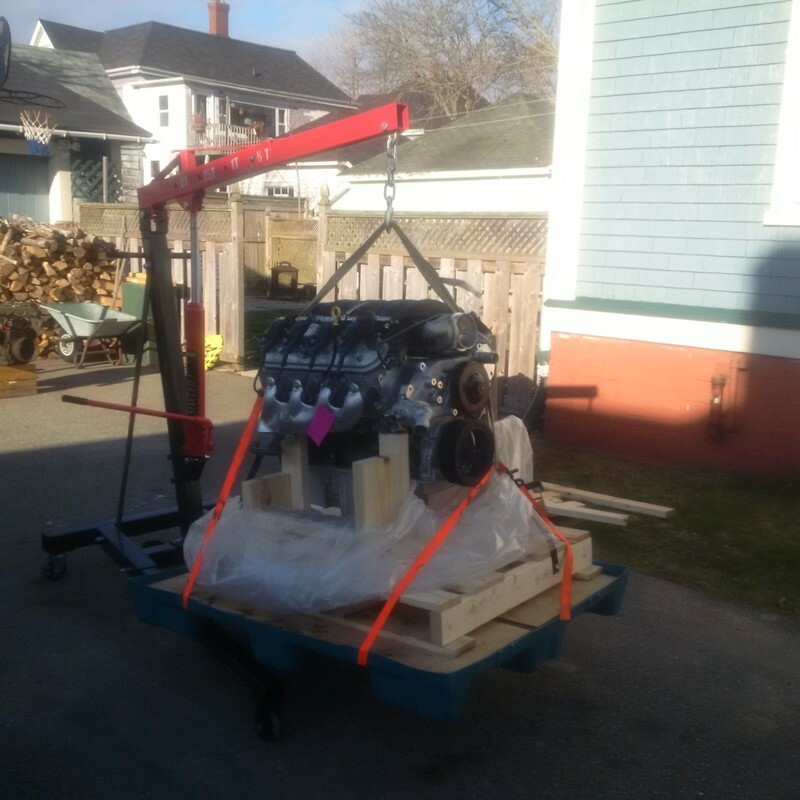 I decide a long time ago that I would attempt to install a new engine in my car since I lacked the experience and tools to rebuild an engine myself and the cost of having one built for me would likely exceed my budget. To the right is the image I posted a while back of a 410 hp LS1. 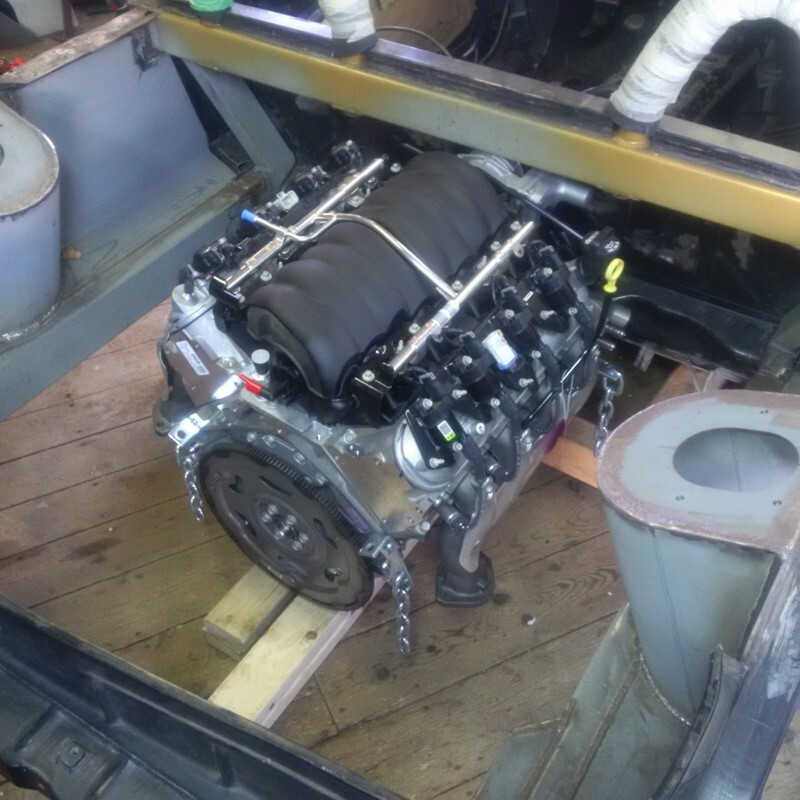 Until I purchase the LS1 Crate engine shown above, here is an iron block truck version of the engine sitting in the engine bay. It still has the big pulley on the front so there will be about 2 1/2 to 3 more inches available to slide it further forward. That will put the bell house in line with my drive line as indicated in my drawing. Of course my drawing is showing an 350 SBC and not an LS1. But like all good plans, things have changed. 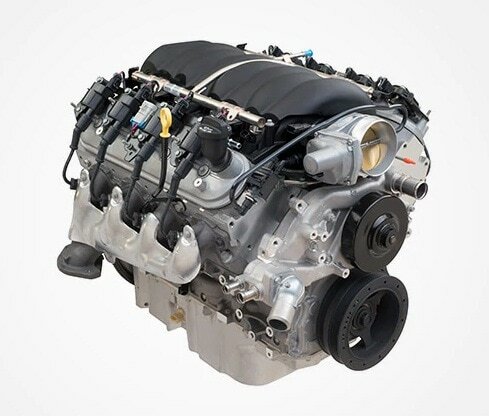 After spending much of the winter researching engines, parts, builders in Canada and south of the border, it quickly became apparent that there were other options available that might be as good or better than the LS1, with regards to performance and cost. 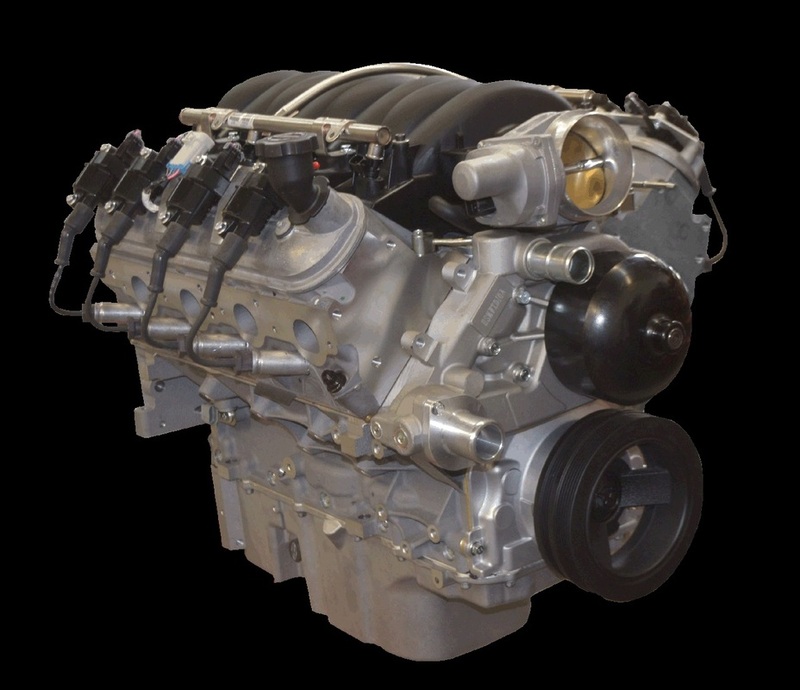 Below are a couple images of the LS3 crate engine as supplied by GM along with some basic engine specifications. 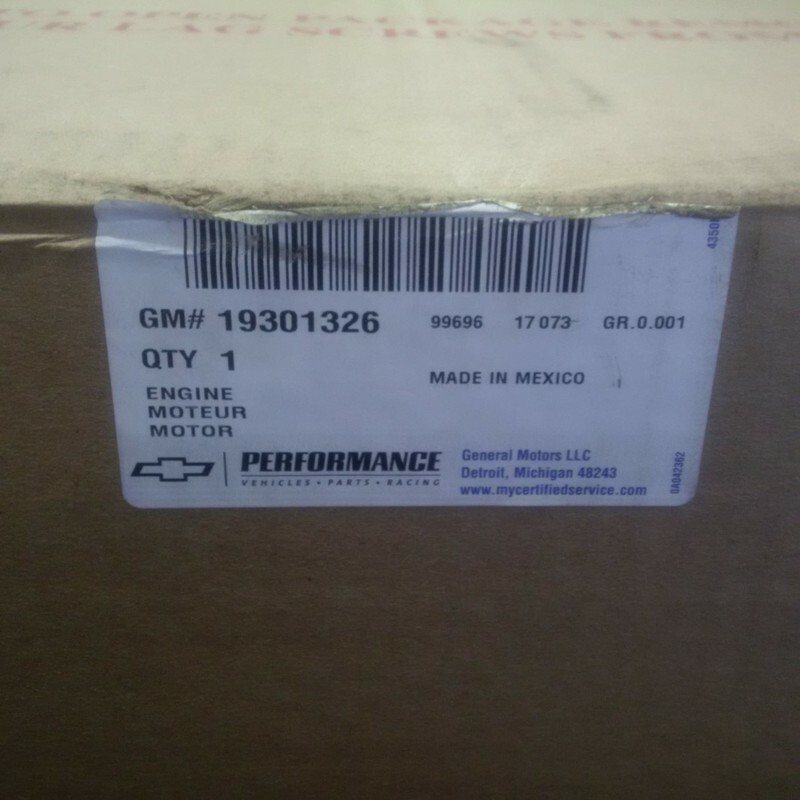 Based on all this research, data, weighing the pros and cons, talking to friends like Dave and Sam, I visited my local GM dealer, discussed what I wanted and what they could offer......... and pulled the trigger by completing a purchase order. 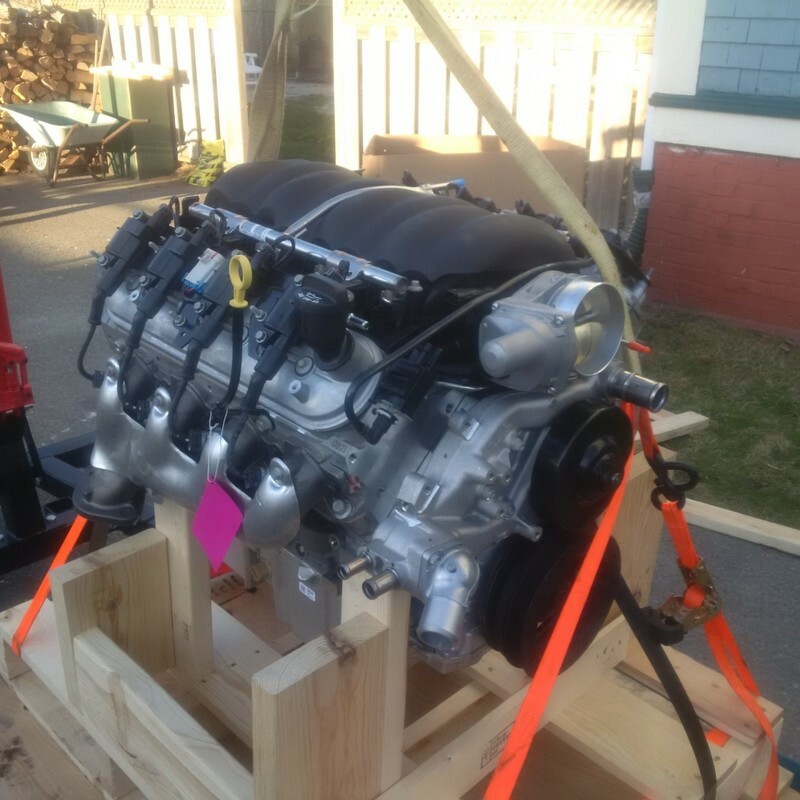 My new LS3 finally made it home today. I left work a little early today to pick it up at the dealership before 5pm. 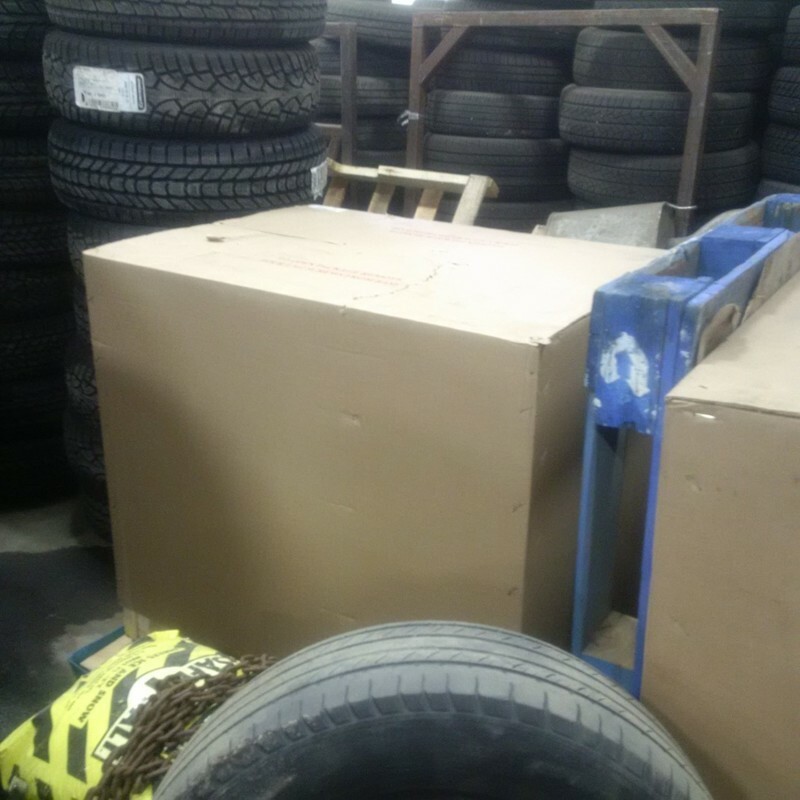 They lifted the whole crate into my truck with their forklift. While I waited, I couldn't resist sitting in a brand new 2017 Vette on the showroom floor. Holy frig that is a nice car. 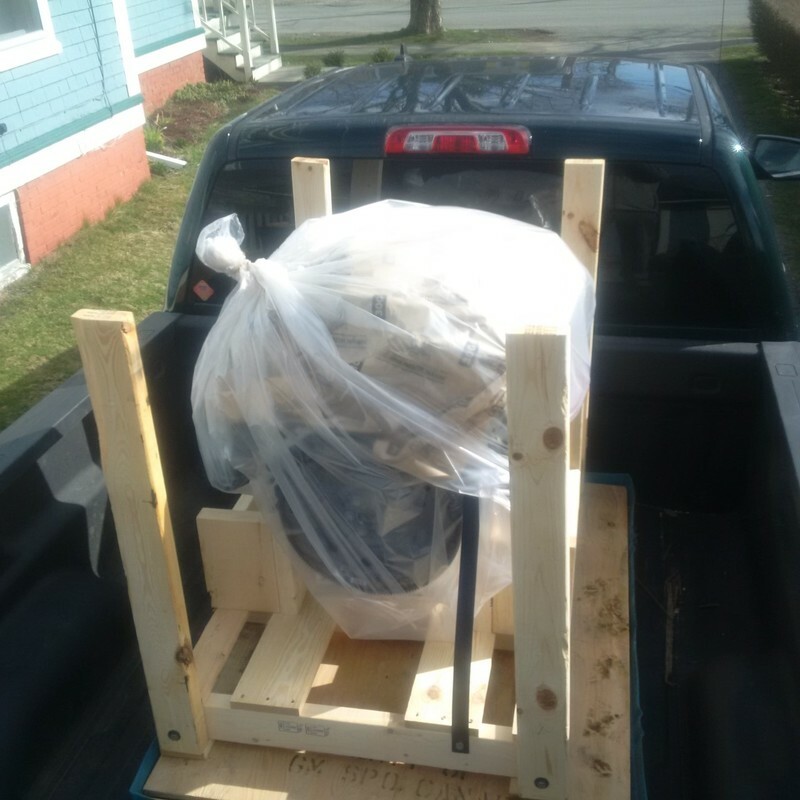 There are a few things I know I need to do to prepare the engine for its first test fit. 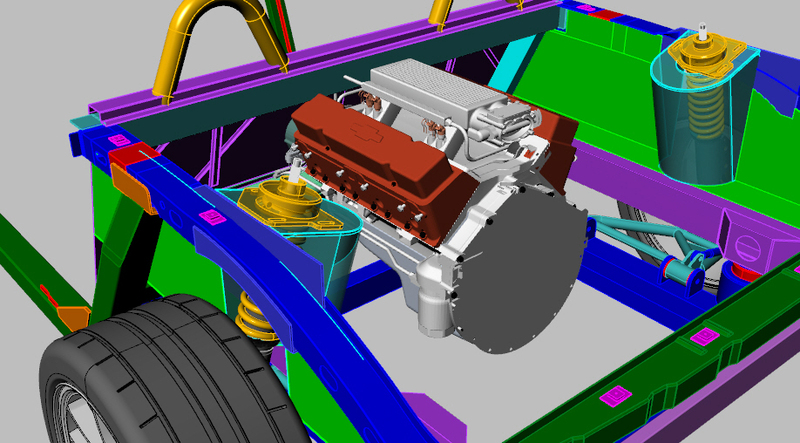 The obvious one will be to rotate the intake manifold 180 degrees so its pointing to the rear of the engine. 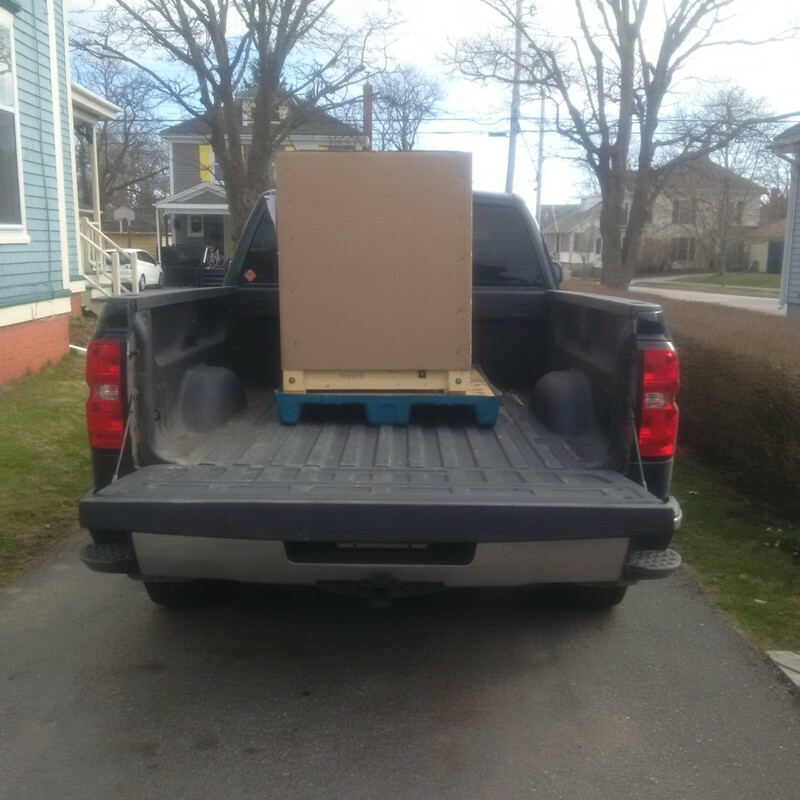 There are a few modification that will be required to accommodate this such a relocate a sensor that is mounted on the rear of the lifter valley. 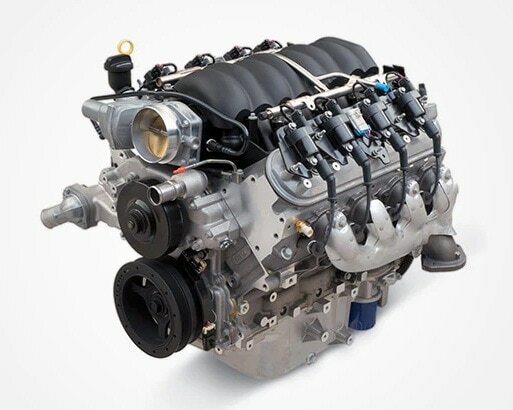 I'll document these changes as much as possible as there seems to be few details of this modification online although it seems to be a popular modification for LS engines used in off road rigs. I have sourced a couple different manufactures of adapter kits that also include custom flywheel and suitable clutch parts. Although I haven't ruled out having my own adapter plate design machined locally. I'm not sure if this is the first LS3 fitted longitudinally in a stretched Fiero or not, so here it is. 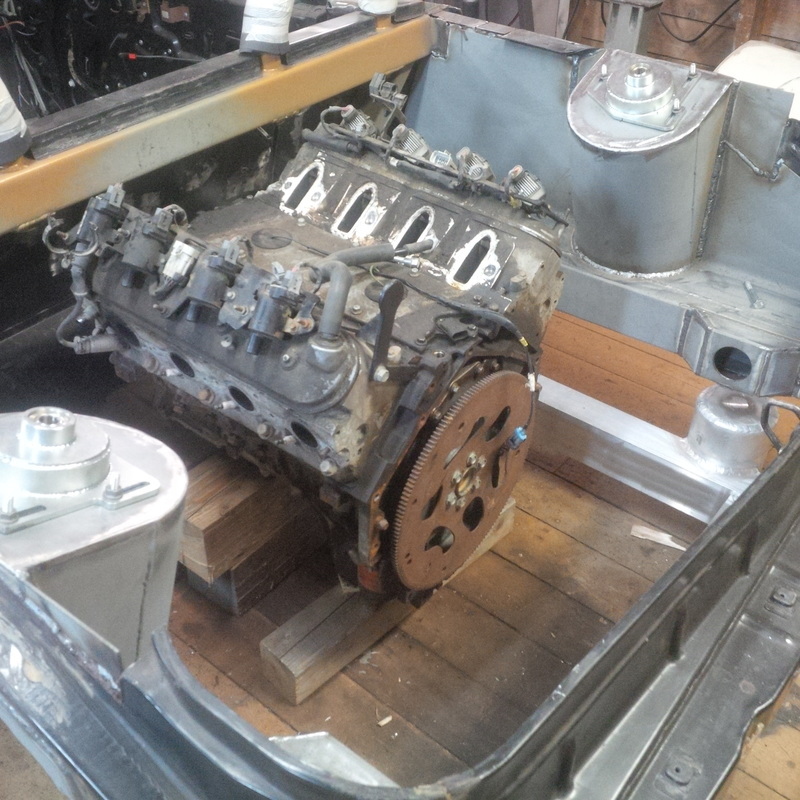 The engine is not in sitting in the correct position but it close enough for now. 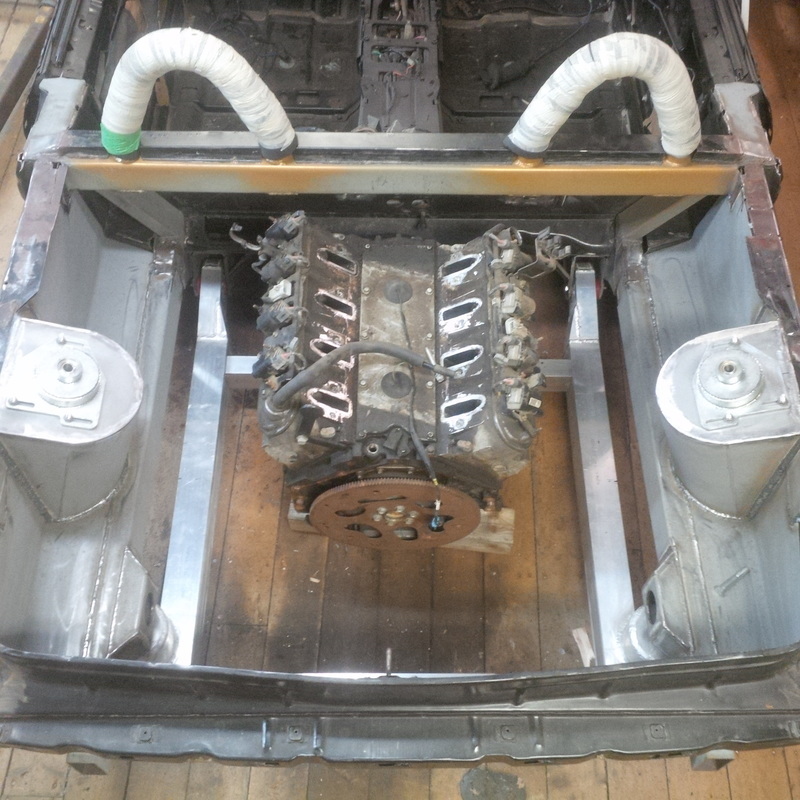 In the picture below, you can see that the intake is right behind the firewall and just below the additional transverse structure I had added to the chassis. 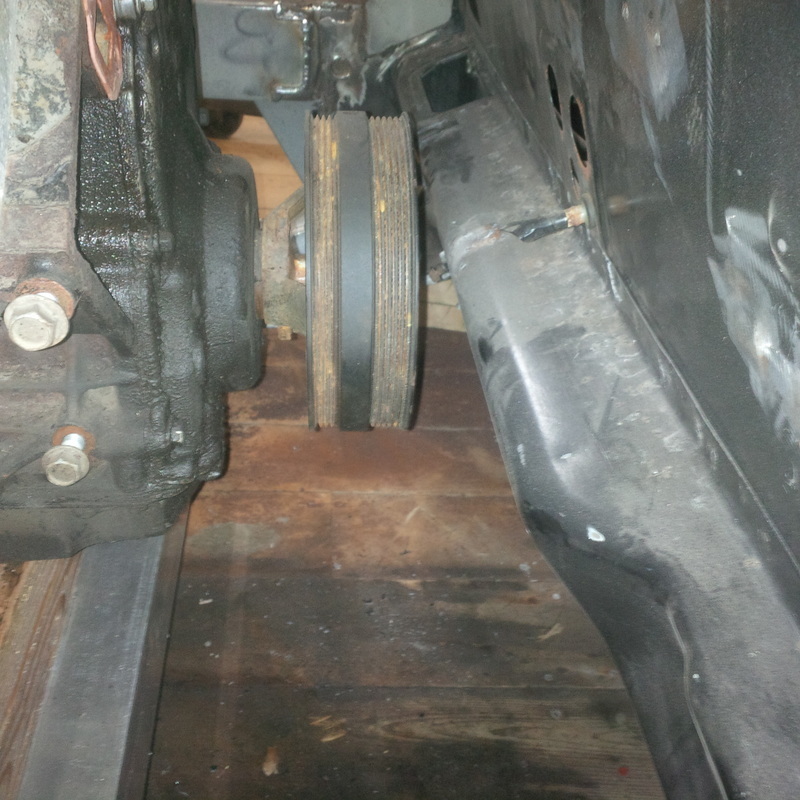 It is for this reason that I will reverse the intake 180 degrees so it faces the rear of the car. In this picture, You can see the harmonic balancer and the water pump behind the firewall. 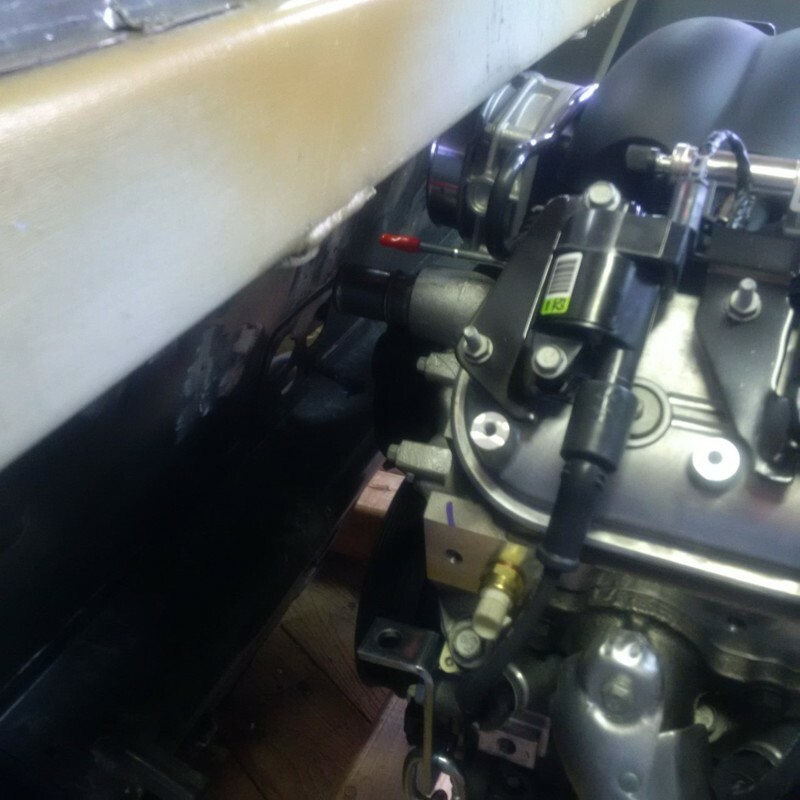 There is actually room for the water pump, however, it would be blocking the firewall openings for the engine harness, shift cables and such. If I can find a single sheave harmonic balancer, it will allow me to move the engine further forward another 1 - 2 inches. 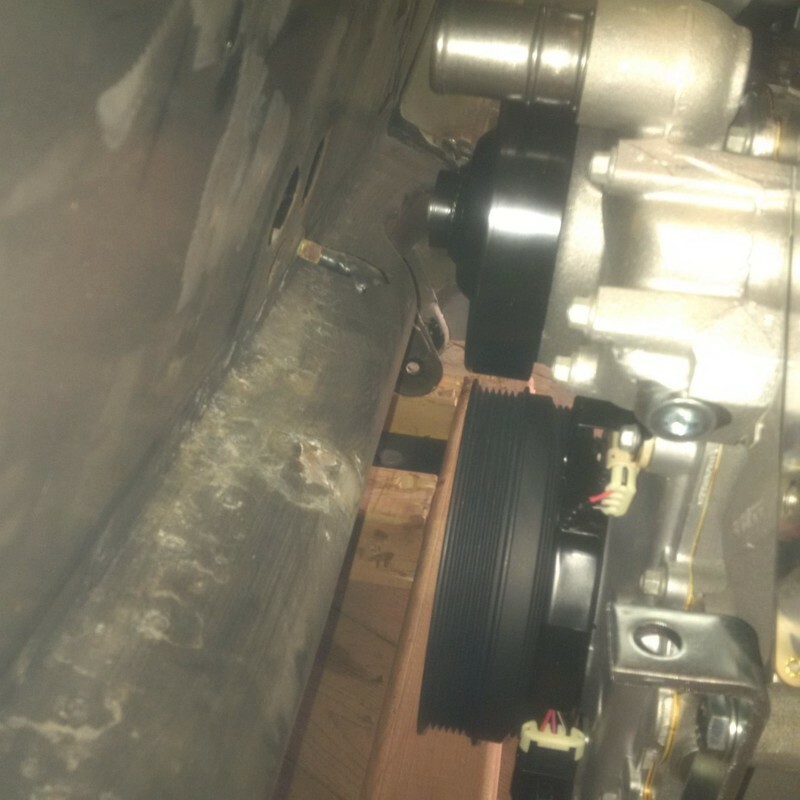 Without the water pump belt, the only other auxiliary will be the alternator so a single sheave balancer would be perfect.